Each Sauce Du Mois offers a twist on the original Shark Sauce (which does not contain sharks, but is a homage to Fiddy, a dear friend of Chel). Luckily enough, for the month of December Chel is offering several different past Sauce Du Mois varieties and Camo Shark is still currently available! 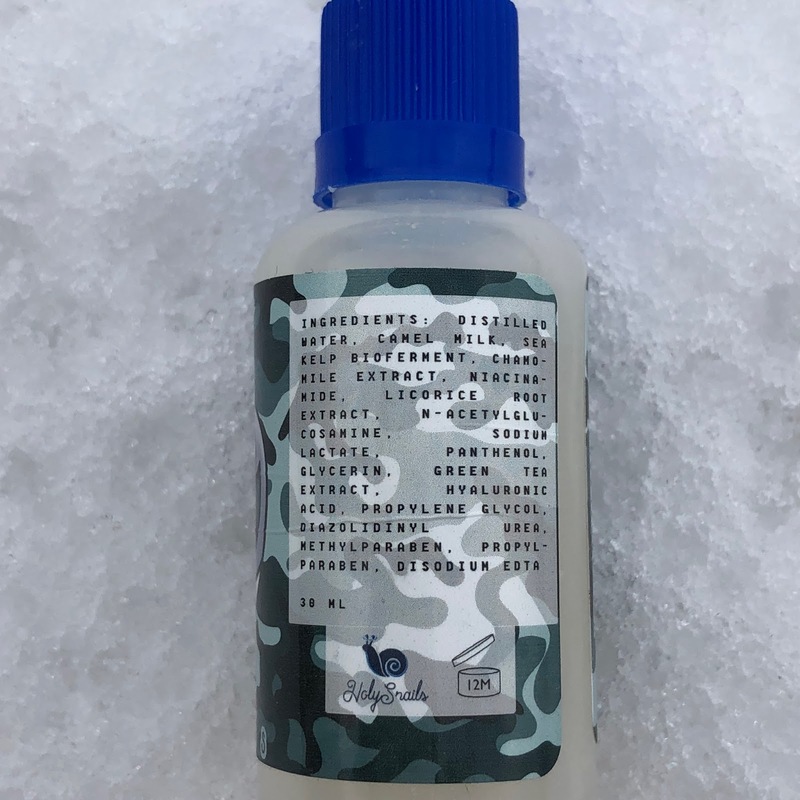 Camo Shark Sauce includes camel milk (a natural probiotic that softens and brightens skin) and chamomile (to soothe sensitive and irritated skin), along with the traditional niacinamide and licorice that brighten and even out skin tone found in the Original Shark Sauce. 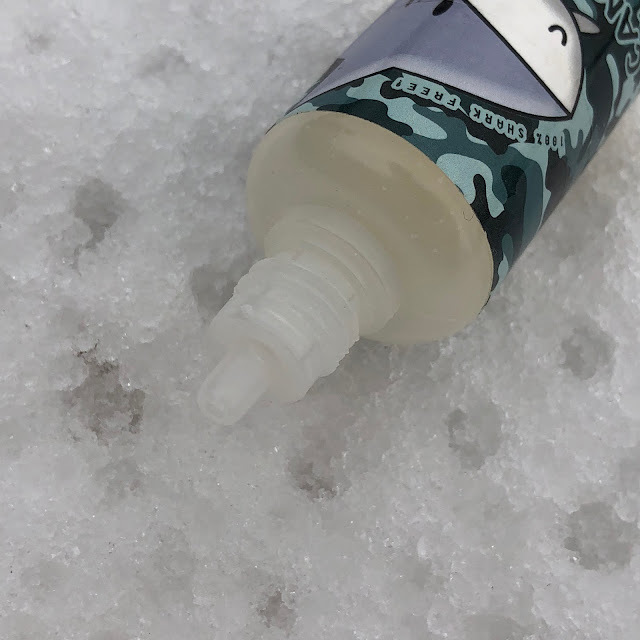 I enjoy the texture of the Camo Shark, which is like a liquid gel consistency that is easy to dispense from the squeeze bottle without making a mess and even easier to apply. I don't detect much of a scent when I use it, but I can almost smell a slight earthy chamomile scent sometimes. I'm hesitant to admit this, because Holy Snails offers so many different items, and so many different spins in their Sauce Du Mois offering - but I think Camo Shark is my favorite to date. 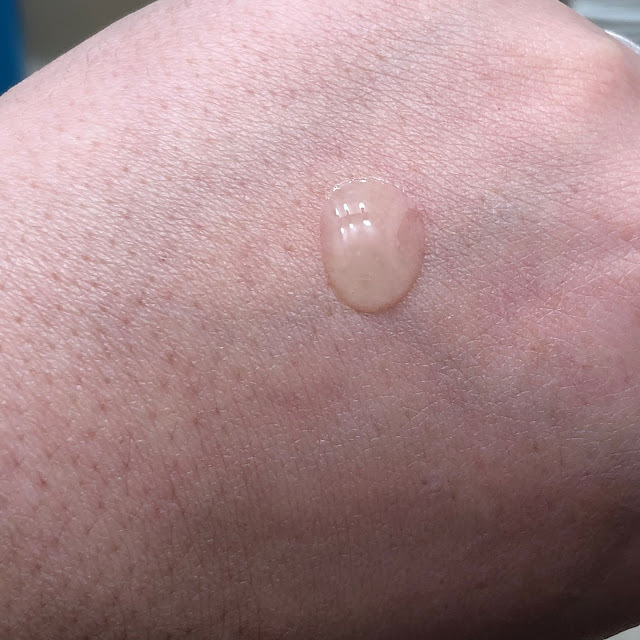 My skin is combo, acne prone, and starting to show minor signs of aging - and Camo Shark has done an incredible job at calming acne redness and inflammation! I have noticed over the past month of trying out Camo Shark that my acne and hyper-pigmentaion from acne spots seem to heal more quickly as well, and my skins' texture does feel more smooth (though to be fair I do use actives in my routine as well). I'm thrilled that Camo Shark will be around for a while longer, because I'll definitely be picking up more! I hope that it might even make a return appearance in the future, because I personally find it to be a great option for acne-prone skin. 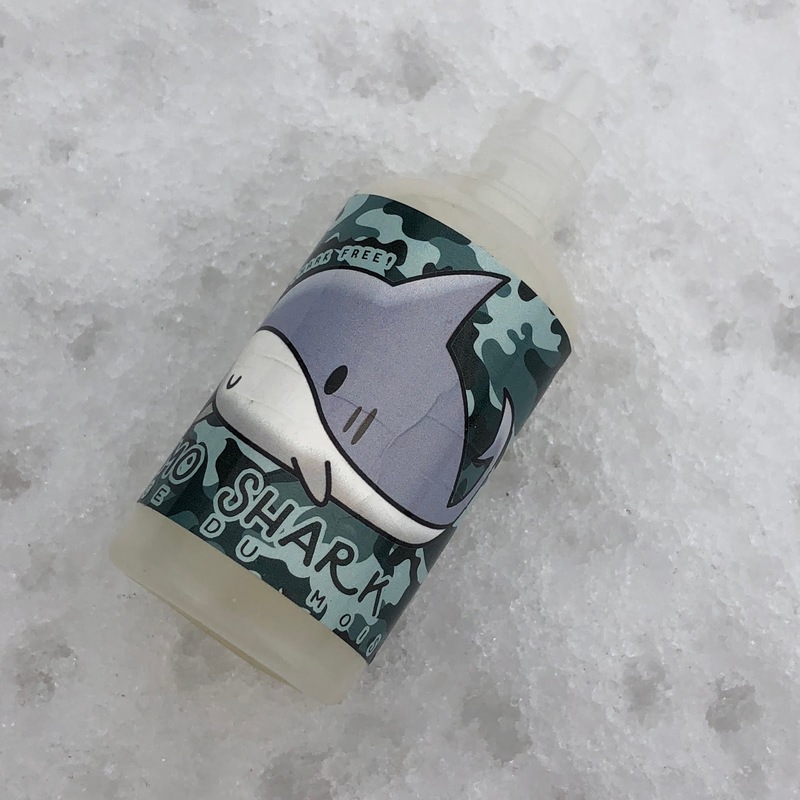 If you've never purchased from Holy Snails before, and would like to try one of Chel's amazing products (including the Camo Shark Sauce), you can use my referral link to receive 10% off your purchase!